Finding the best Fayetteville landscapers to work with does not have to be that complicated a task. The good news is that you have actually already found us. 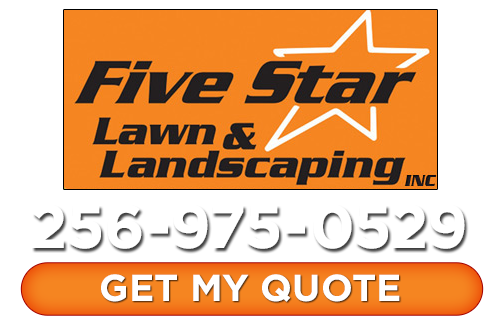 At Five Star Lawn and Landscaping, Inc. we have been the name to trust in since first starting the business in 2008. It is a business we take seriously and it shows in the final results we get. 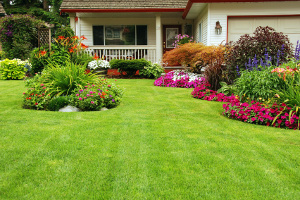 If you want a yard that is bound to be the envy of all of your neighbors then call on our team of professional landscapers. There is so much that truly goes into creating the landscaping you have always wanted. Even for those homeowners who like the effortlessly simple look, you can be assured there is a great deal of work that goes on behind the scenes to make that possible. Yet there is so reason for you to settle for less than you have always wanted when it comes to creating the ideal look. So no matter how big or small and no matter how simple or complex, we can create the ultimate look for you. Don’t just take our word for it; contact us today and let us show you in person how we earned the impeccable reputation we have. The motto of Fayetteville, Tennessee is “Where Tradition Meets Tomorrow” and we don’t think anything could better sum up this place. It’s where you still do get the niceties of yesteryear with the convinces of modern living; which is why we are so set on offering the best in quality workmanship as well as customer care without neglecting to have the cutting edge technologies that make the job more efficient. Neighbors still know one another but it doesn’t mean you have to settle for the stereotypical small town living that is left behind 50 years in the past. All of this is what makes living here and working here so great. So for your next call to Fayetteville lawn care pros, make sure the name you trust in is Five Star Lawn and Landscaping, Inc.
We realize that, as a homeowner, it can be difficult to discern if the landscaper you are hiring is qualified enough to get the job done. By asking around for a reputable name and by asking each company you are considering some routine questions you can choose the right one. Since 2008 we have been taking care of the lawn care needs of residents here and look forward to showing you why we are number one. So for all of your Fayetteville landscaping service needs, trust the Five Star Lawn and Landscaping, Inc. name. If you are looking for a Fayetteville landscaper, please call Five Star Lawn and Landscaping, Inc. at 256-975-0529 or fill out our online request form.